I know this post will probably turn into a rant about my hair, so I'm going to set the scene first! I always thought I had really thick hair, but it turns out my hair is fine-thick. So, the hair strands themselves are actually quite fine (almost like baby hair), but there's a lot of them so it looks like my hair is really thick (when it's not). My hair also falls out A LOT, but there's no point in me taking any supplements because it also grows super fast, and trust me I don't want it to grow any quicker. I know some people will think it's the dream, but it's not when you're always due a cut and your hair grows so fast it's always covering your face. Due to this, I generally tend to have quite long hair. Although, I accidentally got a bob almost a month and a half ago, although it's now grown into a lob (a bit down from my shoulders ). My hair is also wavy naturally, but combine that with the 'thickness' it's what you would call unruly. I straighten it but it rarely stays straight, it goes crazy when it's humid, and my roots are always greasy whilst my ends are like straw. I did try to go SLS free (the Palmer's version being my latest try), but it didn't foam up enough for me or make a difference. So after trying dozens of shampoos over a year, I realised my hair looked a lot better after the hairdressers and my hairdresser did recommend the Kerastase Discipline range. I decided to bite the bullet and just buy the shampoo and the conditioner. The shampoo I picked up is the Kerastase Discipline Bain Fluidealiste, which I picked up for around £13.80 on offer (here). 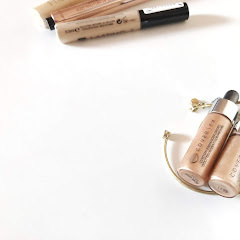 I also picked up the Kerastase Discipline Fluidissime Spray for around £15 (here) and the Kerastase Discipline Maskeratine for around £22 (here). 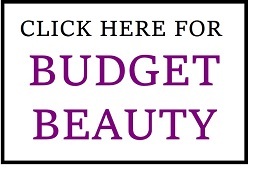 You can pick these up in salons or online (Look Fantastic etc, they do tend to have offers on). The main thing I like about this shampoo is that my hair feels really clean after using it, without feeling stripped (The Body Shop Ginger Shampoo really stripped all the moisture out of my hair - best leave that one for when you have really greasy roots). I find the shampoo does foam up well compared to other brands I've tried, but I still need a good handful ('thick' hair problems), so I can't see it lasting more than a few months (I'm nearing the end of it). I wash my hair 2-3 times a week, I honestly can't be bothered to wash it more often as I have to wait around all day for it to dry and using a hairdryer makes me look like a Hagrid in training! Afterwards, my hair does look and feel a bit softer, and I would say this shampoo is also quite kind on my ends. I am quite happy with it as most of the drugstore products didn't help at all with the greasy scalp and dry ends combo, and this one does slightly. I also don't think it's that expensive for a product I get a lot of use from. Unfortunately, because my hair is falling out like crazy, I am having to switch to using baby shampoo for one wash and mix some of this in, to see if it calms down. The spray is supposed to protect your hair against heat damage and also protect it against frizz and humidity too (until your next wash I guess). However, it's generally supposed to be used as a leave in treatment before you blow dry your hair, but I prefer leaving my hair to air dry most of the time to limit the heat damage. Plus my hair looks crazy huge after I've used a hairdryer on it. 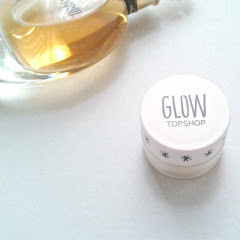 I still put some of this on whilst I'm waiting for my hair to dry (as well as an oil). It smells amazing and I think it does help my hair to look a bit more on the silky side after I straighten it, but I can't say for sure how much it helps with drying your hair. I think this spray will probably last me a long time, and I might repurchase it, but I'm not entirely sure it gets rid of all the frizz. I also assumed that just because I have thick hair I should go for the deep conditioning treatments, so I chose the mask (from the same range) instead of the conditioner. However, my hairdresser told me I was probably overloading my hair as it doesn't need so much conditioning. Therefore, I only use this once a week now, and the other times I just apply oils as substitutes after washing my hair. You know how they tell you that you only need a little bit of conditioner, but you still apply a handful?! Well, with this one, a little really does go a long way. I apply the slightest bit on my hair and I don't even leave it for as long as I used to with the L'Oreal masks (3-5 minutes compared to 10-20 minutes), but I do feel like it makes a difference. For around £22 I can really see this lasting AGES, and I think I get better results from this than I did with the Philip Kingsley Hair Elasticiser. I don't believe you need a really expensive hair oil, infact I normally use whatever I have on hand. This used to be the Tresemme Keratin Hair Oil (which is great for a drugstore option!). However, when this finished and I really needed to grow my hair out after the botched bob, I reached for the Michael Van Clarke Magic Oil. I previously reviewed it way back in 2015 (here). 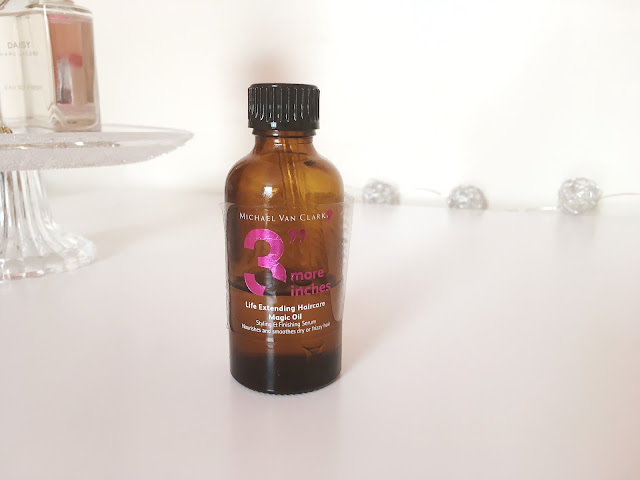 The reason I like this one is that it's really lightweight, so it absorbs fast and it means my ends don't look lank (like with some heavier oils). It's also part of the 3 more inches range for people looking to grow their hair, and I was desperate for my hair to grow out for my graduation, so I was ready to try anything! I would literally smother this on my hair at night (with wavy hair you can keep applying oil before it looks greasy versus straight hair that would immediately show it). Guess what? It actually worked, my hair does grow fast, but it grew even faster - like in two weeks it was a lob! I'm okayish with the length now, but I'm still using this as I think the formula works well with my hair. Although, this is supposed to have a pipette with it (as you can see in the 2015 post), but the rubber holding it always breaks off. This is my second bottle and it's happened again, so you wouldn't be able to take it around with you. I keep it on top of my wardrobe to ensure it doesn't spill. I really hate it when I brush my hair after washing it, and watch all my hair just fall out. This is why I tend to go for paddle brushes as I find them to be more gentle on my hair. 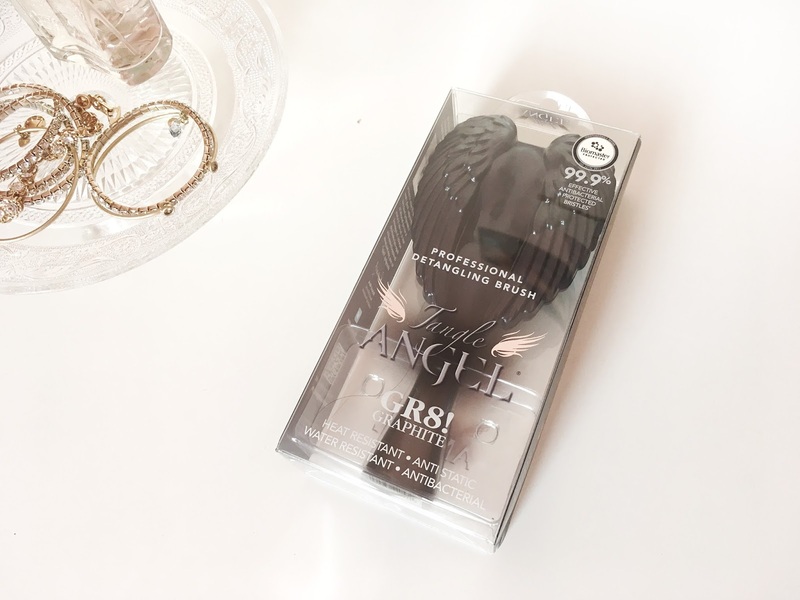 Recently, I was given the chance to try the Tangle Angel*. I haven't tried the original Tangle Teezer (just a Poundland knock off - which wasn't great), so I can't compare if it would be a good dupe. It retails at £12.95 here. I'm going to hold my hands up and say I really didn't know how to use this at first and I was so unsure about it! 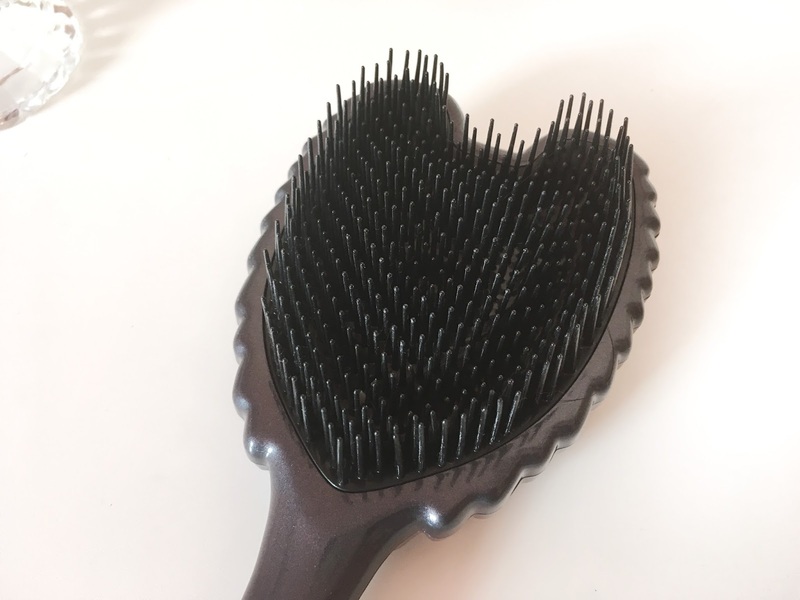 I actually looked at the bristles and they looked quite plasticy, and it did feel a bit scratchy the first few times on my scalp. Then I realised that I actually needed to use it with a light hand, and then it does glide through the hair quite easily. It also catches each hair and just runs through it easily (if that makes sense), so you're not scratching against your face trying to get the smaller hairs. My hair doesn't get hugely tangled, although it is naturally wavy, but I think it is suitable for most tangled hairs (note that I don't use a spray or anything either). However, I think those really bad knots do need a bit of work around them before you go straight in. The Tangle Angel* also has a interesting design with the angel wings! They come in numerous colours, and I think the rose gold one makes the most of the design. 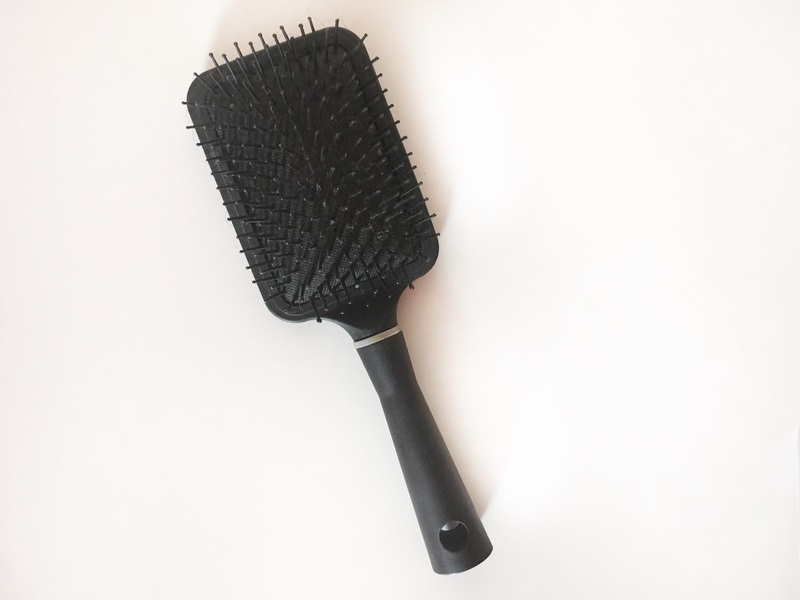 It's also quite a large brush which means you do cover your hair quickly, but it would be harder to travel with, but then again they do keyrings and compacts too (see here). Lastly, when my hair is dry I go in with the Wilkinson's large paddle brush. This is a bargain at £1, and it's so quick to run though my hair in the mornings. It honestly makes short work of my hair, all without pulling it out! I know it sounds too cheap to be good, I even brought a backup but my first one is still going strong, with no breakages and it looks just as new. You can find it here. Again, this is quite a big brush too, so I'll be checking out some of their combs or smaller brushes for travelling. Phew, that was a long post! You'd think that with all of these steps my hair must look like I've just come out of the salon, but nope! It still looks a bit dry and frazzled the first day, and only after I've put loads of oil on and straightened it for the umpteenth time does it start to look a bit decent. If you have any tips on how to copy with unruly hair (think Anne Hathaway at the start of the Princess Diaries), please do share! I'd love to know what your hair type is, and what products you use? My hair is very thin and fine, with so much fall out. And it gets oily so fast. A day after I shampooed it, it looks like a cow liked my scalp:)) Not joking. At the moment I use the Coconut range from MAUI, which is quite nice. Smells divine and it leaves my hair smooth and frizz free. And Batiste is my hero for the oilyness. I think nobody really haves perfect hair naturally. Mine is extremely fine, but although I have a lot of it, it's not very thick and I wish it was. Mine gets very oily quickly too and my ends are super dry due to bleaching, therefore I struggle to find products that combat both problems at the same time, especially since I'm not a big fan of dry shampoo. I've always wanted to try Kerastase hair products, so I might actually give these a go. The Kerastase Discipline range sounds amazing!! 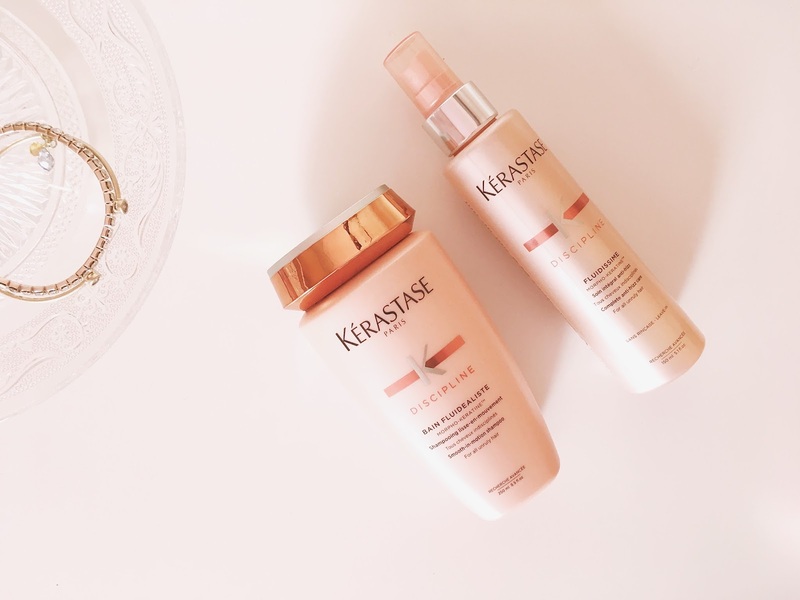 I recently tried a sample of the Kerastase hair oil and loved it! I'm so tempted to try out Kerastase shampoo and conditioners but due to my hair getting so greasy I have to wash it every 1/2 days so I've always put off purchasing more high-end ones but I'm so tempted to try them out now. 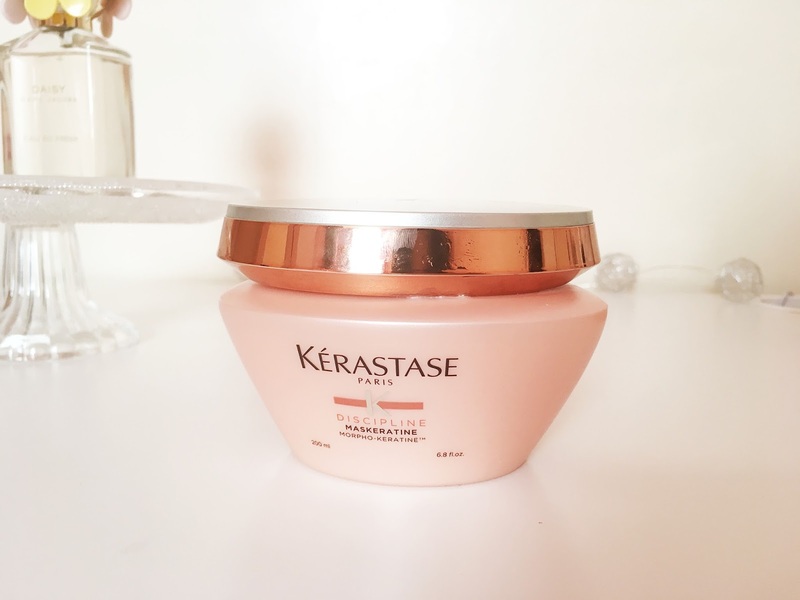 It's been years since I used products from Kerastase and I would love to try something new, my hair is up to a certain point and I don't see any growth and I hate it. I use oils and leave-in conditioners at the moment (Dove has an amazing one)! 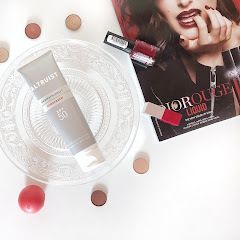 I'm looking foward to try Kerastase products! I have to find the perfect one for my hair and your mask looks amazing. O my god, my hair situation is almost the exact same as yours! I'm so happy to have found an unruly hair buddy, haha. 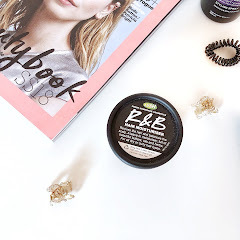 And I'm also very happy to have found this post, because I'm definitely going to be trying some of these products in hopes they'll help sort my hair out. I have the almost the same hair type as you, mine is thick-thick! It falls out a lot especially around my computer chair (I pick up tons of stray hairs when I'm cleaning the floor) and it falls out even more when I'm washing it. I don't worry though, since I haven't noticed it thinning! I'm a little more gross and wash my hair every 5-7 days, lol. But I also have quite a dry scalp, so it doesn't look or feel greasy until day 4 or 5. After that I just throw it up in a bun and nobody seems to notice! Or maybe they're too nice to tell me I stink, haha. I have really long, fine hair that tangles easily too. 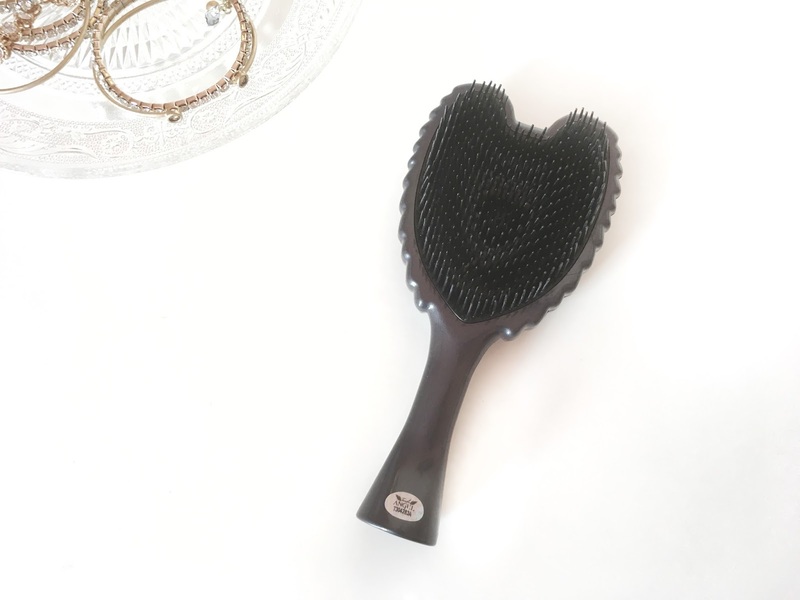 I've found The Wet Brush is the best thing for my hair, and personally works a lot better than a tangle teezer or a paddle brush. Definitely going to check out some of the products you've mentioned here though, since it sounds like we do have a similar hair type! Great, informative post, thank you! My hair is very thin and fine so I have to be extremely careful with my products because most will weigh it down. I have been loving Verb Hydrating range though, not sure if it's available in the UK though. The first part of this blog post had me intrigued already, as I have thick-fine hair too and it is an ABSOLUTE PAIN! I practically have to have my hair cut every one or two months or else it goes out of control, so I completely relate! I've never used Kerastase, but I would definitely recommend Redken and their Diamond Oil collection, as it really helps with my tangly hair! Definitely need to invest in something like the Tangle Angel, because I always hear such good things about them! I never used to pay attention to my hair until I bleached it. Then I HAD to start taking care of it, but I didn't really know how to! So now I mostly rely on articles or other people's recommendations of what's good for hair like mine, which tends to finer and falls out a lot as well. It's definitely a work in progress! I love Kerastage products! They are so good for my hair. And that brush is so gorgeous, love the shape!